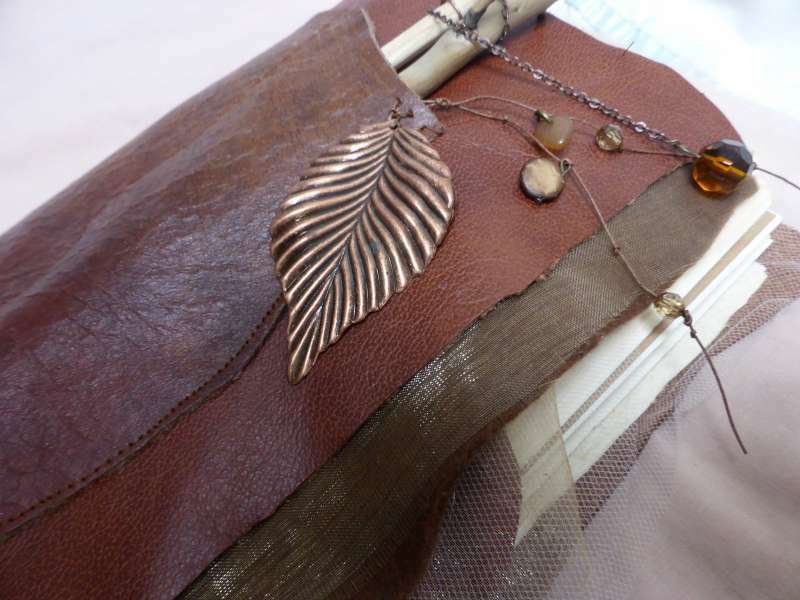 One: Single signature, wrapover cover, sealed with a waxed cotton loop over a copper brad. 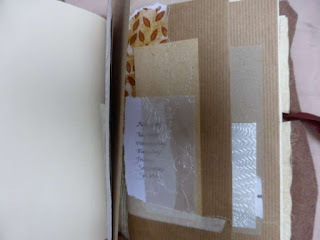 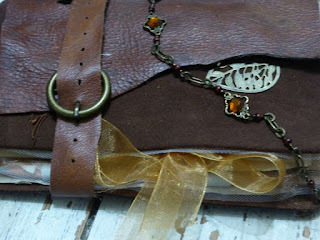 Book opens to felt fabric on both sides for stitching and pinning. 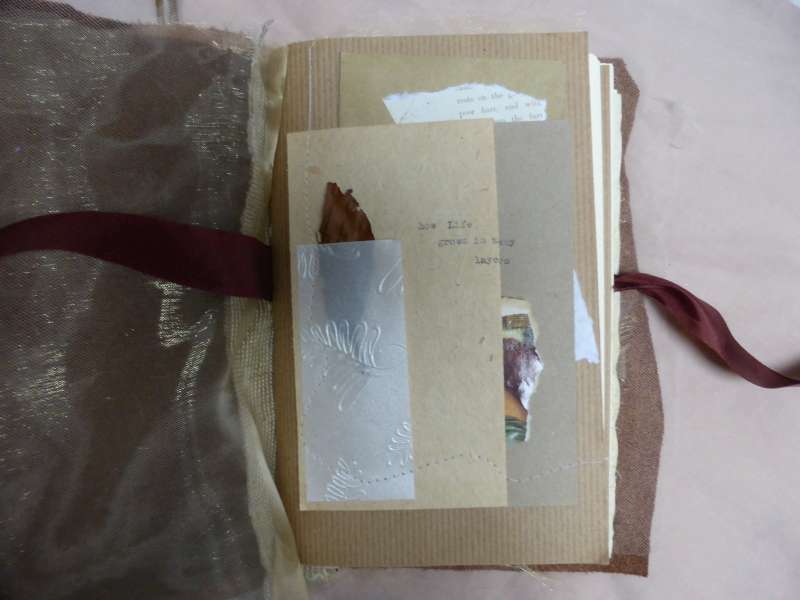 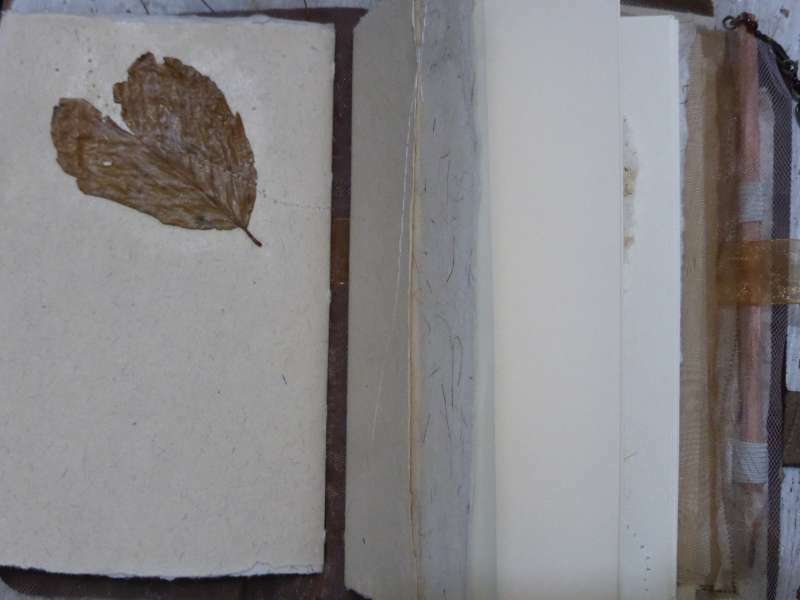 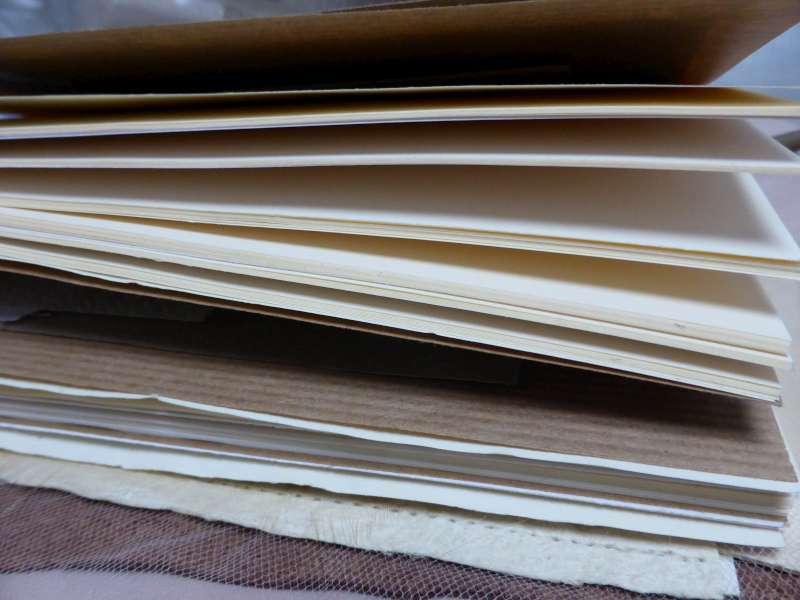 Papers include notepaper, recycled papers from Frogmore Paper Mill, French waxed paper, and Nepalese tissue paper. Pockets throughout. 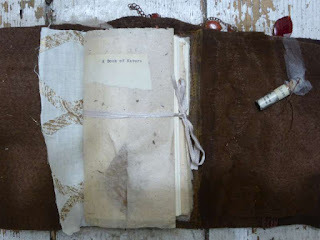 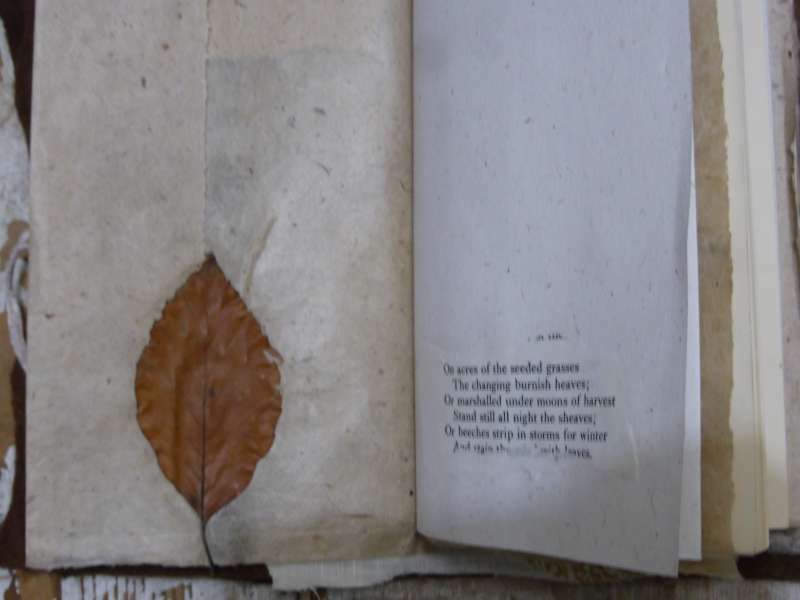 The leather used for each book has been weathering the wind and rain for a year as part of an erosion project, brought indoors, washed and treated with restorers. Beech leaves from the tree outside. 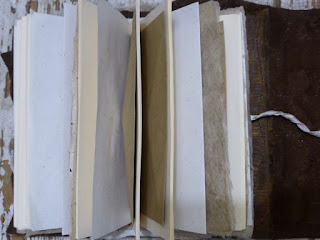 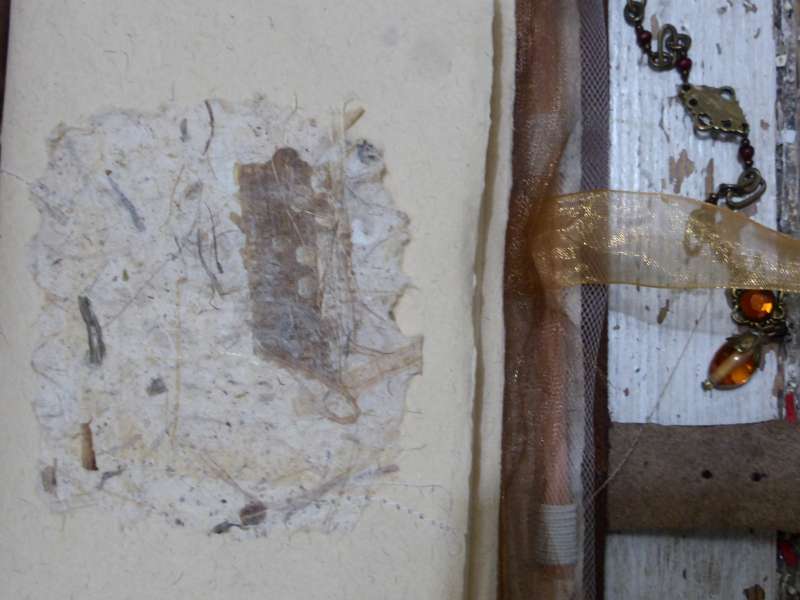 Two: Four signatures combining corn hair papers, note papers, khadi, and snatches of handmade paper. 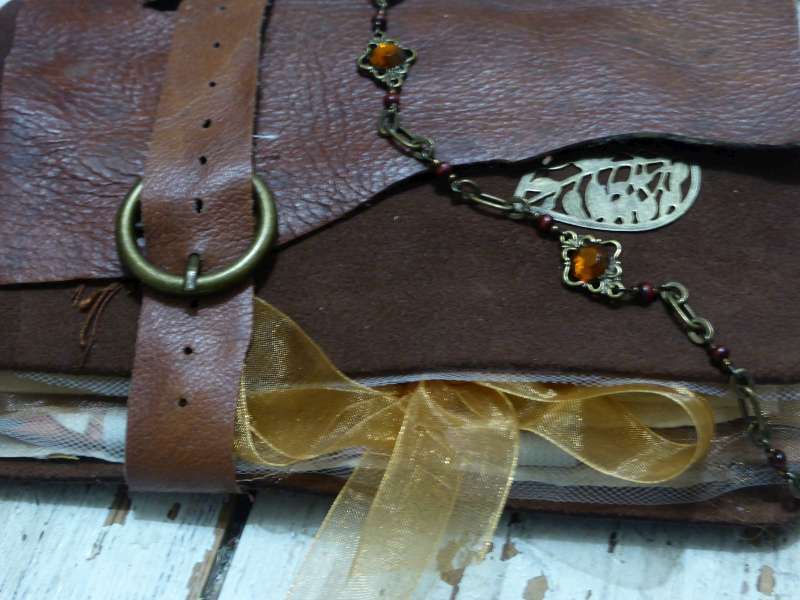 Belt fastening: cover splits into two, revealing an inner and outer, a place to store small precious items. 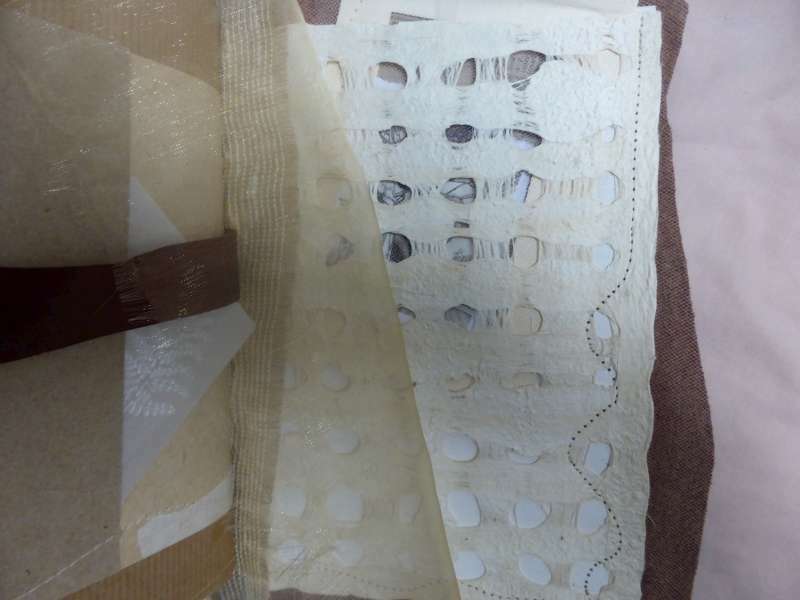 Inside organza and double layer nets to trap leaves and organic materials. 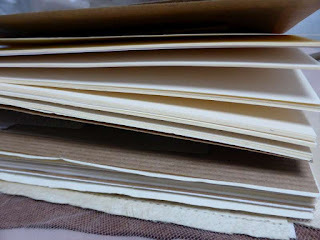 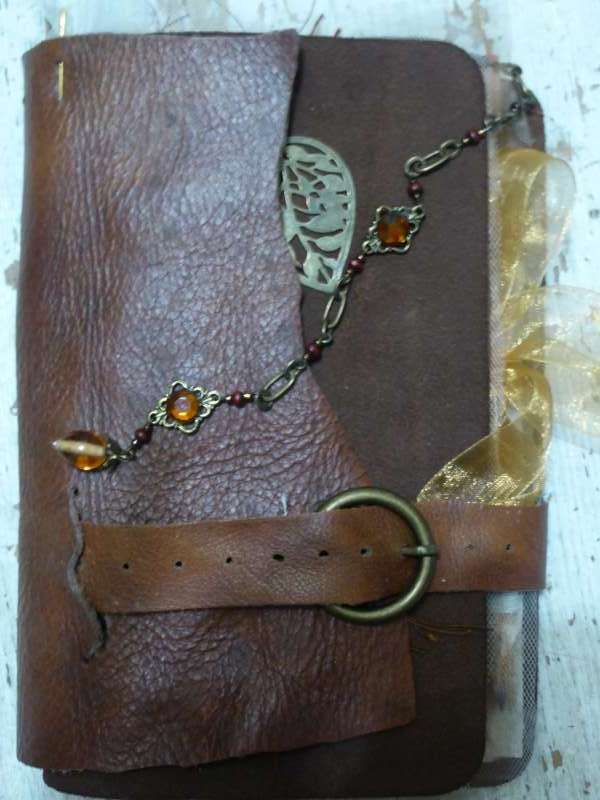 Three: A5 in size, containing notepapers, scattered cartridge papers, amate paper from Mexico, and pockets made from recycled paper on inner covers. A heavier book to make a statement on a desk. 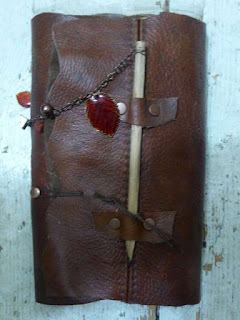 Great for collecting, journalling, sketching.